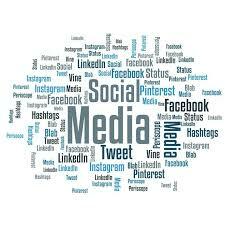 Social Media Marketing is a form of internet marketing that utilizes social media channels to achieve various goals in brand awareness, marketing communication and building client relationships. Many small businesses utilize social media to build a community with their current clients and prospective clients, stay engaged with their followers and the information they find valuable, and even generate traffic back to their website. As with any marketing campaign, it is important that you have a clear idea of which goals you would like to accomplish with using social media. Having a good understanding of why you are utilizing social media as a marketing tool will point you in the direction of which content you should post, and will set an expectation of what you can expect as an end result. Build a community – and utilize it! A lot of small businesses use social media marketing to build a community of clients and prospects to get to know their clients on a more personal level. This is a great way to get a better idea of what their clients are interested in, what kinds of groups and pages their clients follow, and what information their company posts that generates the most engagement with followers. This helps small businesses decipher which information their clients and prospects are actually interested in and paying attention to. Now, owners can use that information to create more interesting social media posts, and translate that to their newsletters, client emails, and content for their website to keep clients and prospects engaged in all aspects of their marketing- not just on social media alone. Stay engaged with your followers! It is important to keep your followers engaged by posting content that they find relevant. What might be even more important, is taking the time to make sure your followers are being heard. One mistake small business owners often make in social media marketing is bombarding their followers with posts, and not taking the time to actually socialize with them. If your followers are not ‘liking’ or commenting on your posts, it may be because they don’t find it interesting. On the other hand, if your followers are ‘liking’ and commenting on your posts, respond to them! This is a great opportunity for your small business to keep the lines of communication open with your followers and make an impression on your followers. Furthermore, it is important that if you are starting a social media marketing campaign for your small business that you plan ahead and make the time to maintain it. Don’t fall off the face of the Earth and leave your followers wondering what happened to your posts! Keep posting a few times a week so your followers don’t forget about you, and make sure they know you didn’t forget about them! Send social media traffic to your website! If your followers are engaged on your social media posts, that means they find the information you are sharing with them valuable. This gives you authority in your field and showcases your business as an ‘expert’. So, why not send your followers to your website for more? By linking your social media posts back to your website, you are giving your followers direct access to your business information and a way to contact you for your products and services. This can help increase your chances of receiving more contact forms completed on your website, and converting prospects into clients. How do I start a Social Media Marketing campaign for my small business? The marketing experts at Local Search Titan can help your small business set goals, kick-start a social media marketing campaign, regularly post to your followers and manage engagement with your followers. Contact our Social Media Marketing Specialists and begin your campaign today! Talk with a digital marketing specialist.